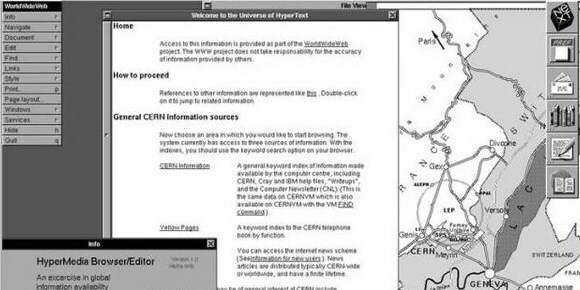 On December 20, 1990, British scientist Sir Tim Berners-Lee hosted the first website in the world on his NeXT computer at CERN (European Organization for Nuclear Research). Today marks its 25th anniversary. After inventing the World Wide Web in 1989 as a way for institutes around the globe to share information, Berners-Lee launched the first-ever website with a description of how to set up a server and how to access content shared by others. The Web has evolved greatly since then, with powerful apps, services and limitless sources of information about any topic you can think of. It’s fascinating to look at the humble beginnings of the internet as we know it and see how far we’ve come. CERN still has the original server that hosted Berners-Lee’s first online creation; in 2013, it reinstated the site to its original address.